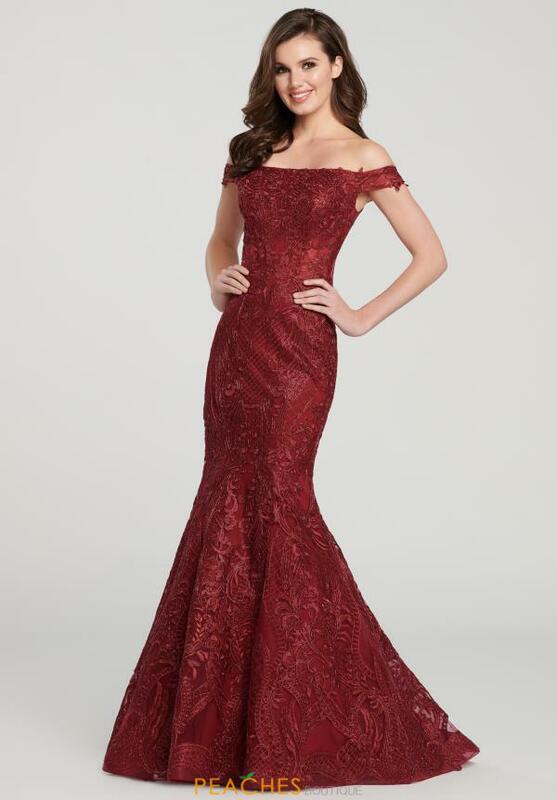 Ultra flattering prom dress EW119111 showcases an off the shoulder neckline paired with classic cap sleeves along the fitted bodice. This one of a kind style showcases a slim fitting silhouette made in sparkling embroidery along the tulle underlay. A dramatic mermaid train flares out in a stunning swept train adding the final touch.